On Saturday, March 23, over 50 fearful flyers gathered for Cleared For Takeoff 201/301 at the Air Hollywood studios in Pacoima, CA. Spectrum1 news reporter Ariel Wesler featured Capt Ron and student Laura Estanislau. Tune in here to watch the video, and if you attended the class, you just might see some familiar faces! The crash of Ethiopian Air flight 302 captured the world’s attention, largely due to its scale and eerie resemblance to last October’s Lion Air disaster. The aircraft in question, the Boeing 737-800 MAX 8, has since been grounded in the U.S. and overseas. If you have the jitters thought of boarding a flight, take heart. Capt Ron weighs in with the Arizona Republic and offers reassurance to unsettled flyers. 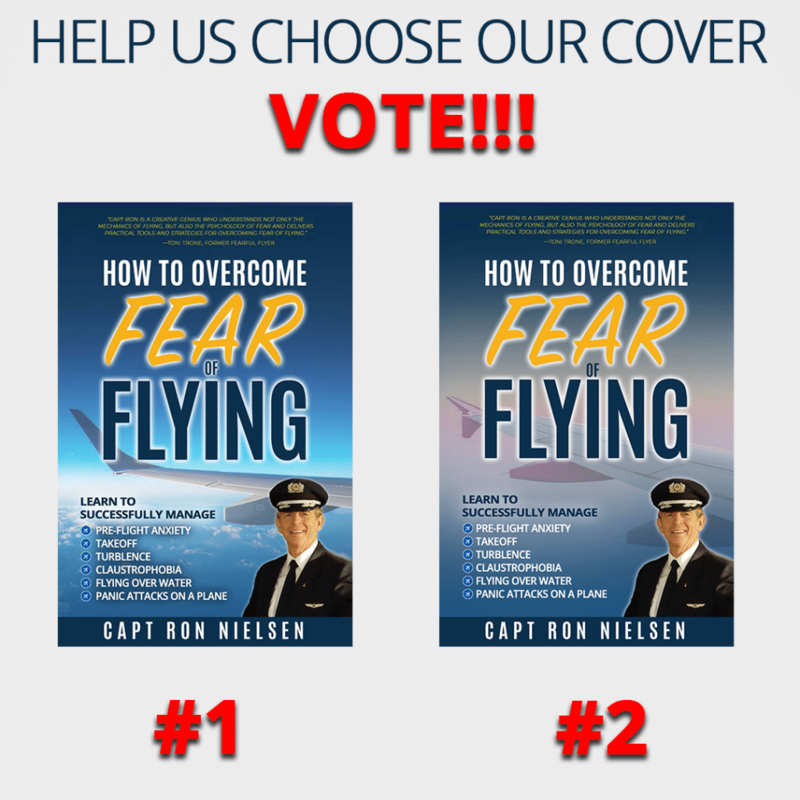 Help us choose our cover and you could win a free coaching session with Capt Ron! We can’t decide on a cover for Capt. Ron’s upcoming book, so we decided to leave it up to you. Vote on which image you’d like to see on the cover. One lucky winner will receive a free one-hour coaching session with Capt. Ron (a $200.00 value), plus a signed copy of the book! Stay tuned as a winner will be announced soon.